The Corporate Jet is pictured on a 4 board sign. 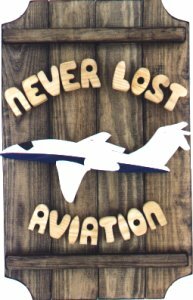 The Corporate Jet personalized wood sign will make a great gift for that future pilot or aviation enthusiast. This sign is also good for the Radio Control and model airplane hobbyist.